There are two different types of people who invest in silver and precious metals. The first type of person wants a quick return on investment and the other type of people see silver as a longterm investment that can be handed down from generation to generation. If you are the kind of person that considers the future when planning out your finances, we want to work with you. 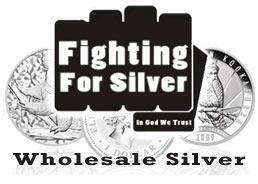 Members of the Fighting For Silver movement recieve discounts on silver coins as well as free promotional give aways, like free silver coins. Our member exclusive silver offers can only be acted upon by our Fighting For Silver Movement membership. Fill out the simple form below to join. We will be contacting you shortly.